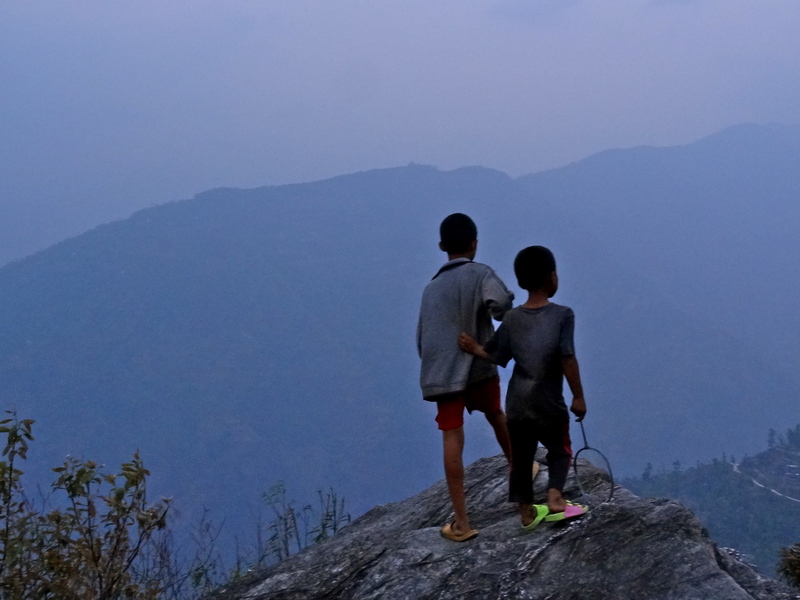 On a late evening, we sat on a steep cliff, drinking the local Sikkimese Beer. Sparse villages and farms lay scattered in the valley below. The River Teesta roared along intensely. The mountains echoed with hypnotic chants from a nearby monastery. We were lost in our thoughts, when the mist slowly rose, and revealed to us in all its snow-capped glory, the mighty Mount Kanchendzonga. Places like these can’t be found on a map in Sikkim. Trying to find my footing down a path of lose pebbles, I had asked two school kids where our path would take us. They enthusiastically decided to lead the way in a direction where the coarse mountain paths turned into a bed of flowers, with bright red rhododendrons blooming along the slopes. The path culminated in a cliff, from where we would get our first glimpse in two weeks, of the Himalayas wearing a snow coat. 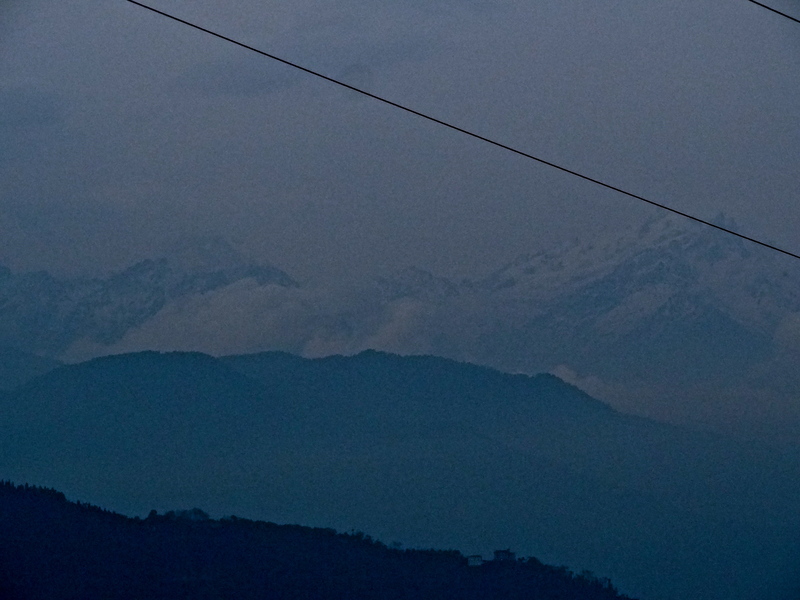 A glimpse of the snow-capped Kanchendzonga range. We spent our days in West Sikkim hiking to remote monasteries and villages, marveling at the isolation in which people choose to live and pray in these parts. In most mountain regions in India, village homes are clustered together and their farms further away, while locals in Sikkim build spacious homes surrounded by fields, often a 10-15 minute walk from the nearest neighbor. For the most part, we let the chants of Om mani padme hum and the fluttering Tibetan prayer flags guide us. But one afternoon, we trudged up a particularly steep forest path with a local guide, and trekked for an hour across the mountain, to reach a private monastery built by a Lepcha family in the solitude of the Himalayas. Unlike many temples, there were no donation boxes or information about the founders, who had spent years carrying each stone up the tiring paths. And it is people with the same conviction, who aren’t looking for anything but peace, that feel fulfilled here. There is a tranquility in these stones. 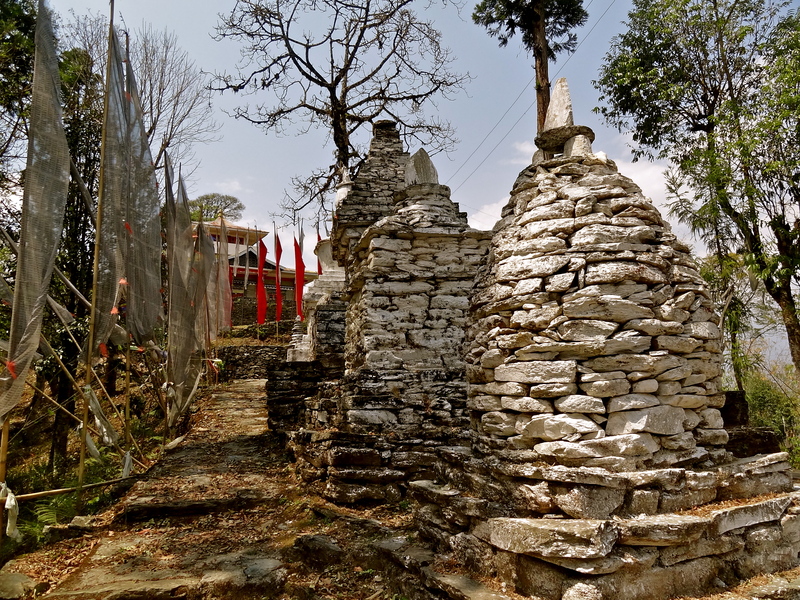 On an isolated hill in West Sikkim, a beautiful old monastery. The roads in these mountains are steep, narrow, mucky and broken. On a treacherous journey up to Dzongu in North Sikkim, our taxi threatened to roll back down a slope multiple times and we hurriedly joined the locals in taking turns to push it up. Shared taxis are the fabric of life in Sikkim, where no public transport ply the rough mountain roads. There are no timetables or location routes, and yet everything from people to documents to bottles of fresh milk efficiently gets ported from one end of the state to another. It was in a shared taxi ride to Mangan that we met Joon, a civil engineer who went out of his way to help us get permits for Dzongu at the district magistrate’s office on election day. He introduced us as old friends to the officer in charge, and helped us secure documents to hasten the process. In the village of Dzongu, we met the Lepcha people, who have passionately protested the relentless damming of the Teesta River. To them, the elements of nature – the river, the mountains, the forests – are sacred. Our host family even chided me for asking if the vegetables they grow are organic, because that is the only way of farming they’ve known in Sikkim, much before the world gave food without chemicals a fancy name. The mountains echo with hums of Om Mani Padme Hum. On our way out of the state, I observed in fascination, the point where the Rangeet River from Darjeeling joins the mighty Teesta. Each charts a different journey through the mountains. 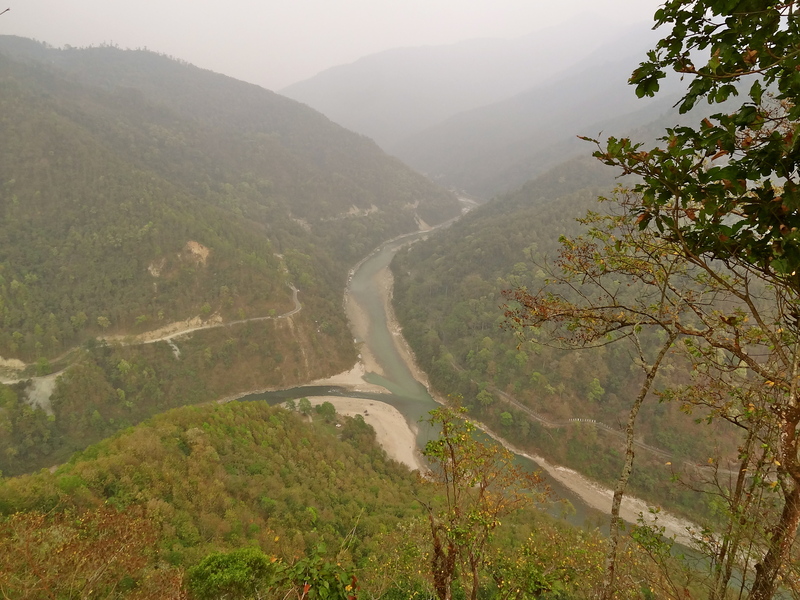 Yet at one point, the Rangeet flows into the Teesta, and the colors of its waters, the intensity of its flow, and its humble origins are quickly forgotten. And so it is with Sikkim, the lost kingdom. The last state to be annexed to India in 1975. Confluence of the Rangeet River with the Teesta. You can retrace my journey through the northeastern Himalayas on India Untravelled‘s trail from Darjeeling to Sikkim. Join The Shooting Star on Facebook, Twitter and Instagram for more offbeat travel stories. Have you travelled to Sikkim yet? No roads are great in these parts 😉 I wanted to go north, but was told I’ll have to take a package and all that and go. Not a fan of doing that. Phew! I’m just out of Sikkim after traveling there for two weeks. Loved your take on it – since my memories are still fresh, I was nodding in agreement to whatever you wrote. 🙂 All I can say at the moment is that Sikkim is an experience. Agreed Nakul! Hope you get to visit soon. They say october-november are some of the best months! I didn’t see it. But heard you have to take a package et al to go there. Did you manage to go on your own? Great coverage, lucid writing & thank you for sharing. We believe that there is more to India than what meets eye. You have tabled one such beautiful place. Thanks! And it’s true, there’s so much more to India than we’ll discover in this lifetime. The best way to understand Sikkim is to travel in shared jeeps. You get to meet local people of Sikkim and observe their daily lives. On one occasion while travelling from Pelling to Darjeeling, I had to change shared jeep in a smaller town (I forgot the name 🙁 ). It was around 1 PM in afternoon and there were no jeeps available at stand. When I inquired at the counter they said if we get enough people then there will be one more jeep available. When I asked what if not enough people are, then the reply I got was : “Then you stay in the town for a day :)”. Gotta love how patient and laid back people are in these parts! And I agree, shared jeeps are the best way to meet locals. Loved your description of the experience in Sikkim. It reminded me of my journey in Sikkim last year. Feeling nostalgic. Will need to visit Darjeeling and Sikkim again soon. Thanks for sharing your memories and experiences. 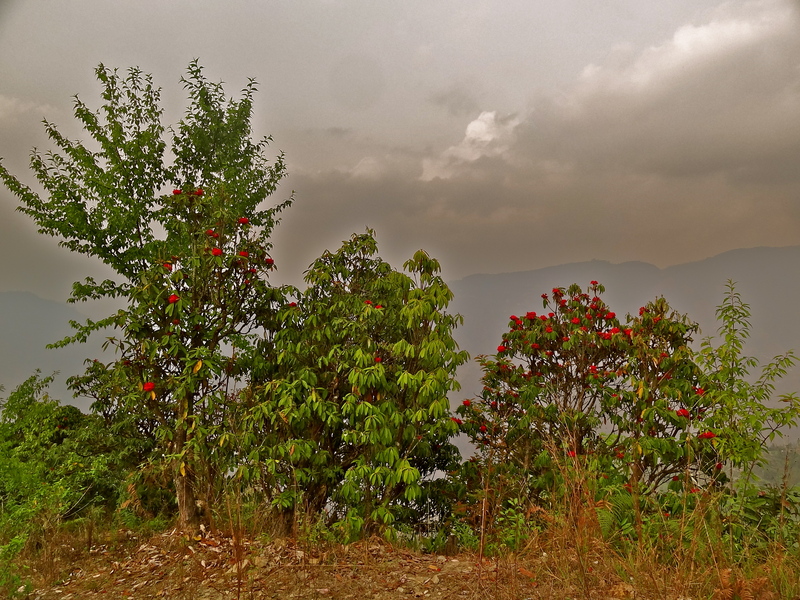 Lovely post… makes me want to go to Sikkim now. Life in villages is simple yet hard, and you find some of the most fulfilled people there. Agreed. And that’s the beauty of India’s villages. Hope you get to experience Sikkim soon! It is! Though I hear June-August are months of heavy rain (and leeches), so a good idea to wait till September. I can imagine it must have been. Can’t get enough of these mountains! Another stunning location…if I get to India any time soon it’s gong to have to be the Himalayan regions. North Sikkim happened last year in a private taxi (i.e. white number plate one) no hassles with the package tour, i cant travel in a preordained way ! 3300/- INR per day for the taxi (Xylo). I arranged for the permits with the taxi fellow @ Rs. 100/- per person. 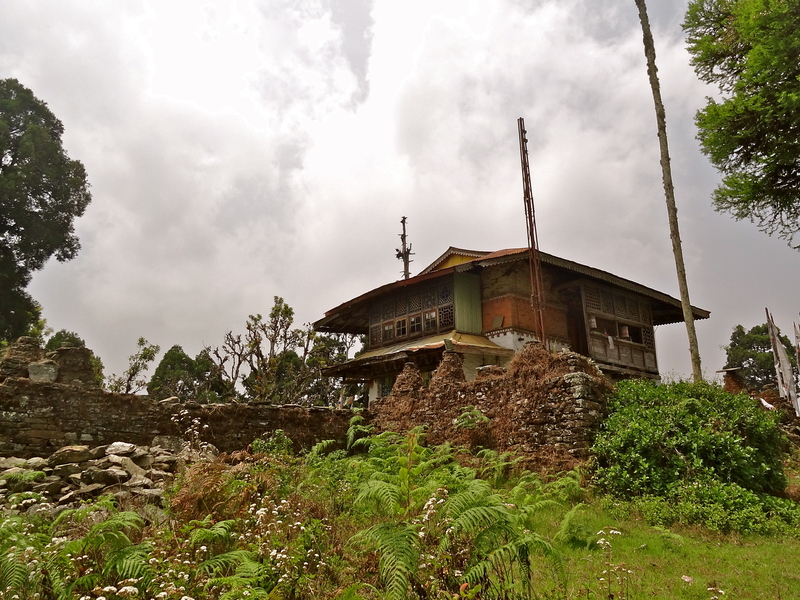 We just have to be persistent enough, stayed at the super Forest Rest House in Lachung/Lachen (cant remember). The package thing is a sham to deprive real travelers like you from exploring and blogging ! Nice blog regarding sikkim & beautiful views….!!! @Shivya, was just imagining when I would get such a lovely opportunity. Sipping on beer and travelling lovely scenic locations truly appears like a dream to me. I hope to visit Sikkim in my next vacation. Will surely carry my camera along. Just stumbled upon this blog and really liked it …and kudos to you for living your dream . Wonder what your experience is traveling as a single woman in India ? I was there last year during September, it was a random plan for me, after attending my friend’s wedding.I was travelling solo and that was a blessing for me. I reached Silliguri via a bus and then had the option of going to either darjeeling, duars or gangtok.I decided to chose the place depending on whichever jeep i get first, and i heard someone shouting “Gangtok”…!!!! I wish to meet you in person for I admire what you are doing…. Hamlets of West Sikkim are a treat for mountain lovers. I can still feel the fresh air and majestic view of snowpeaks from Borong village where I got happily lost while having a solo walk on the hill trails. I started off from Sikkim only and you are an inspiration to travelers all around the world. I found the place to be enchanted right out of some fairy tales. I first visited sikkim in 2012 and places i visit was Sikkim, Peling Lachung, second time i visit Sikkim on 2018 for Llingtham, Zuluk, Nathang( kwnows as old silk route). Now again i am planning to visit Sikkim, it always wonders me with something new. Previous PostIn Photos: The Garhwal Himalayas a Year After The Uttarakhand Floods. Next Post6 Offbeat Experiences Near Hampi.